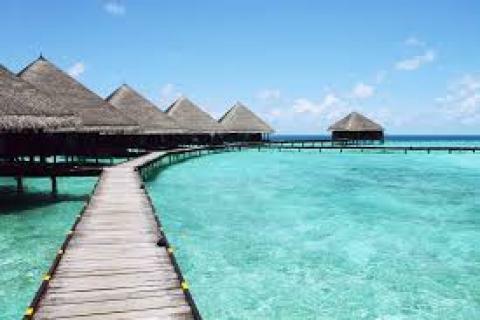 The Maldives is a long and narrow country formed by 20 natural atolls. Some atolls are in the form of a number of islands by time and in the form of isolated reefs, which could be classified as smaller atoll formations. All land above the surface in the Maldives is of coralline origin. The atolls of the Maldives form a quite regular chain and, especially in the northern and central atolls, an arrayed structure is apparent. There are broad and deep channels in between some atolls. The origin of the word atoll itself is in the language of the Maldives.